The CommonKindness iFrame provides your audience access to CommonKindness coupons, which generate funds for their favorite non-profit - without leaving your website! 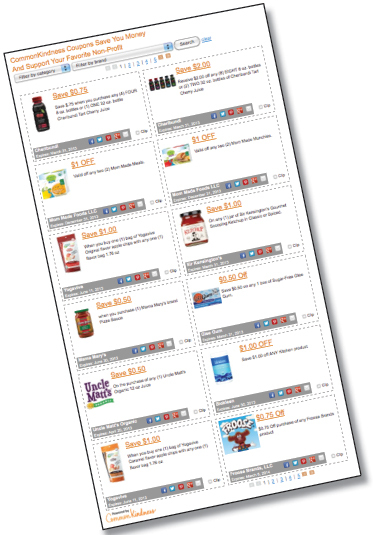 An easy way for you to display the CommonKindness Coupon Gallery directly on your very own website. Reward your audience and entice new visitors to your webiste by adding the CommonKindness Grocery Coupon Gallery to your site and empower your supporters and guests to save money on their groceries while generating funds for their favorite non-profit. Each coupon redeemed will generate funds for the consumers favorite non-profit! Request for your iFrame code today and offer your audience unique coupons directly from your website! "Being able to offer unique CommonKindness coupons through an iframe directly on our site is amazing. "We are able to keep visitors on our site and help benefit nonprofits at the same time. In the end it makes us a greater resource and helps others. It's a total win-win!"